Source: Photo in my possession. 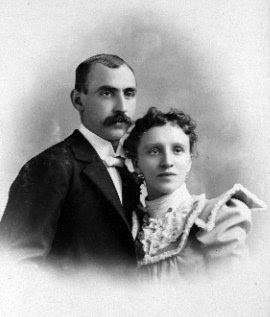 Taken approximately 1898 in Milwaukee, Wisconsin, around the time of their marriage. Hi I had a gt gt grandfather named Peter Henry Bartels, and he had 4 children and was married to a Jane Bruce. Might that be a relative of yours also. Peter Henry was born in Hamburg in 1829, then moved to West Hartlepool. He was a Mineral Water Manufacturer.